This quality knife comes with a clip and is 5" Closed . 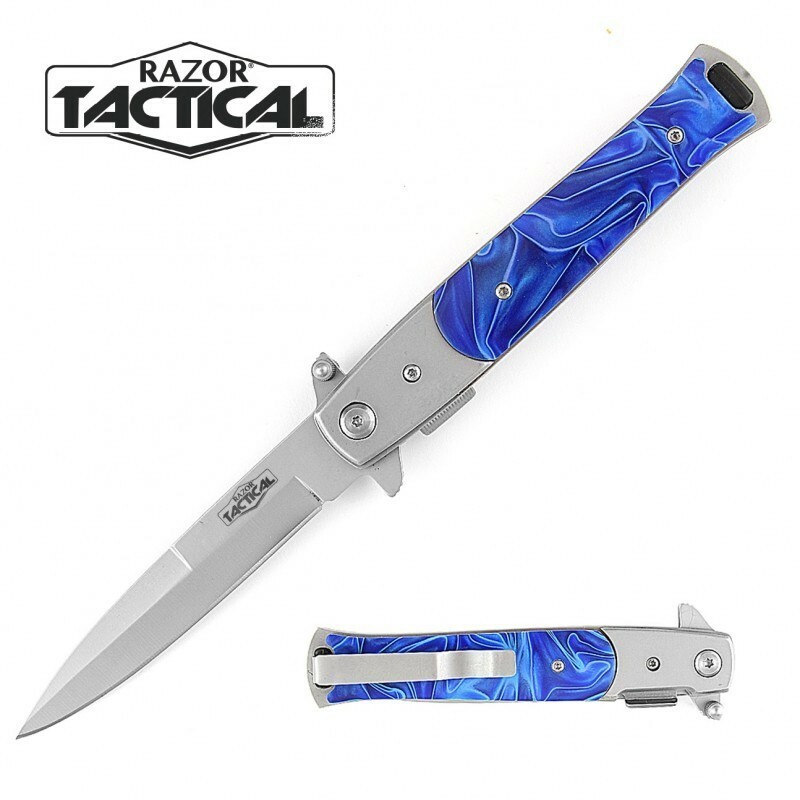 High quality knife for a low price. Featuring stainless steel black blade which is very sharp.